Announced a little over 4 months ago, the Canon EOS 4000D (Rebel T6 in North America) is the Japanese manufacturer’s latest temptingly affordable, compact and super-lightweight DSLR. It has an 18MP CMOS sensor, and uses Canon’s DIGIC 4+ image processor to enable a native ISO range of 100-6400, which is expandable to 12,800 with gain. The 4000D can also offer short bursts at up to 3 fps for fleeting moments. Like others at this level in Canon’s lineup, the viewfinder autofocus consists of a 9-point AF system with a single cross-type sensor at the center. In addition to the usual auto and semi-auto exposure modes, it features a raft of point-and-shoot scene-oriented modes, including a Scene Intelligent Auto mode and a Creative Auto mode that uses creative filters. 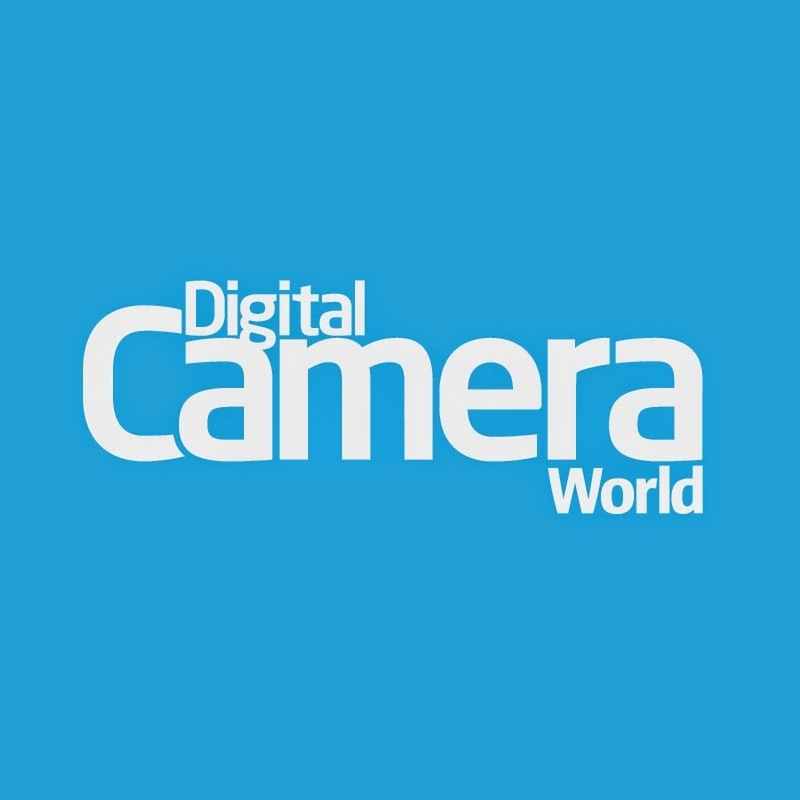 The Canon EOS 4000D attained an overall DxOMark sensor score of 63 points, which is on the low side for a modern APS-C-size CMOS sensor, but on the plus side, performance is likely to be an issue only when the camera is pushed to the extremes. The Canon sensor delivers its best performance at the base sensitivity (ISO100), which measured close to the manufacturer’s setting. Unsurprisingly, the individual scores are a little low. The Portrait (color depth) score of 21.9 bits is quite some way behind the leaders in this sensor size, and the same can be said for the 4000D’s dynamic range of 11.4 EV. That said, in most cases this is a capable score with more than enough range for dealing with poorly-exposed images at either end of the histogram. The low-light ISO score is the maximum ISO sensitivity that meets our strict image quality criteria — a minimum of 18-bit color, at least 9 EV dynamic range, and a minimum 30 dB signal-to-noise ratio (SNR). The 4000D achieved those thresholds at a fairly low 695 ISO, though that’s for unprocessed RAW files. When saving JPEGs in-camera using the onboard Digic 4+ processor or when using RAW conversion software, ISO sensitivities of ISO1600 should be well within the capabilities of the camera. Featuring the same 18Mp APS-C sensor as the earlier EOS 7D and the EOS 60D from the same generation (2009-10), it is perhaps unsurprising that the 4000D offers very similar image quality. With color sensitivity around the 22-bit mark, all three are remarkably close, offering no real difference in performance, particularly at low ISOs. And with just a +0.3 EV difference between them in dynamic range at base, and about the same again in our minimum Low-light ISO score, there’s little to differentiate among the three in terms of sensor dynamics. While it’s easy to be critical, let’s remind ourselves that the lowest of those models was just under $1,200 when launched, considerably more than the price of the 4000D in today’s money. As a super-affordable DSLR, the 4000D isn’t alone. Arch-rival Nikon has adopted a strategy of offering similar-performing sensors across their lineup, letting other features differentiate among the models and determining the prices. 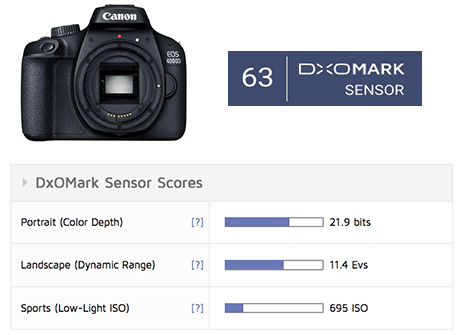 This means the Nikon D3400 sensor is pretty much at the leading edge of current sensor performance, which explains the 23-point difference in the DxOMark sensor score between it and the 4000D. For more details about sensor performance, our in-depth analysis takes a closer look at how the Canon EOS 4000D compares with the Canon EOS 7D from late 2009, and the rival Nikon D3400, a competitively-priced entry-level model. At their respective lowest native sensitivity settings (base ISO), the sensors in the Canon EOS 7D and 4000D are performing at practically the same level with no real difference in performance. Against the more modern sensor in the Nikon D3400, which has a higher pixel count and therefore smaller, potentially less sensitive pixels to overcome, the difference is substantially in their rival’s favor. It is one of the best-performing sensors we’ve seen, with a markedly higher color depth of over 24 bits, compared to around 20 bits for the Canon pair, equating to around a +2.5 stop advantage for the Nikon. As the ISO sensitivity increases, color sensitivity in the Canon pair decreases at a more or less consistent rate through the mid ISO settings, both reaching our quality threshold of 17 bits at the maker’s ISO 1600 setting. There’s some slight deviation in sensitivity with the 4000D and its lower native ISO 6400 maximum, compared to the 7D’s ISO 12800, on account of some tuning in the latter, but it’s a difference of less than a third of a stop at our 14-bit limit. It is a different story with the sensor in the Nikon 3400. Not only does it offer better color sensitivity in the 200-400 ISO range over the Canon pair, it also maintains a significant performance envelope of 1 to 2 stops throughout the range, hitting the excellent 20-bit threshold at ISO1600. Even at our 14-bit minimum, the Nikon has around a one-stop advantage, which is still likely to result in improved color rendition at those extreme ISO settings. The wider the dynamic range of the sensor, the better the device is at recording the range of luminance values between the deepest shadows and the brightest highlights in an image. A wide dynamic range benefits users at all levels of experience, and is particularly useful when adjusting exposure after capture. The D3400’s measured minimum ISO is about half a stop lower than those of the Canon cameras, but offers a sizable 2.5 stops or so of wider dynamic range. A 11.4-stop dynamic range for the 4000D is still good, however. That the 7D displays a modest improvement of +0.3 EV in dynamic range over it comes down to tuning: the 4000D shares the same or similar sensor, and at higher ISOs, there’s no difference between the two. Although the Nikon D3400 continues to display a wider dynamic range at all sensitivity settings, that margin is reduced at higher ISOs. Nevertheless, the roughly one-stop advantage at ISO 3200 is still quite a significant showing, and a benefit to photographers in low-light conditions when using the camera hand-held. SNR is a measure of how well the sensor captures an image before random errors, or noise, is detectable. At its lowest sensitivity of ISO 100, the 4000D achieves 38.5 dB in our signal-to-noise ratio (SNR 18%) tests, which is just within our 38dB quality threshold. Increasing ISO sensitivity just one stop to ISO 200, the 4000D dips just beneath that threshold and continues to decline right through ISO 800, where it drops beneath our second quality threshold of 30dB, meaning that low noise levels aren’t a strong point for this sensor. And perhaps unsurprisingly, the same is true for the Canon EOS 7D. In contrast, the Nikon D3400 with its 24MP sensor has much lower noise levels at all sensitivities. Images captured over ISO 100-200, for example, remain above 38dB, and the D3400 maintains a one-stop advantage (or just under) at practically every ISO setting. Although that is without a doubt a benefit of using a much more modern sensor, our measurements are based on unprocessed RAW files, so you can expect lower noise in JPEGs from the 4000D’s processor or when using desktop software. As an entry-level camera, the 4000D is highly attractive. It has a great mix of features for beginners, such as a wide range of shooting modes, HD video, good ergonomics, and user-friendly controls. It’s also light in weight at 436g and highly compact, and it has access to the largest range of lenses of any system. There are reasons why Canon is one of the foremost camera makers in the world! In terms of sensor performance, the 4000D isn’t at the cutting edge, however. Like its pricier 2000D sibling, it also lacks Canon’s innovative Dual Pixel AF technology. Indeed, it appears to be using a sensor design from a couple of generations ago, but it is a capable performer under all but the most challenging of conditions. That said, Nikon’s aggressively-priced D3400 not only outshines the 4000D in sensor performance, but also has a slightly higher pixel count. 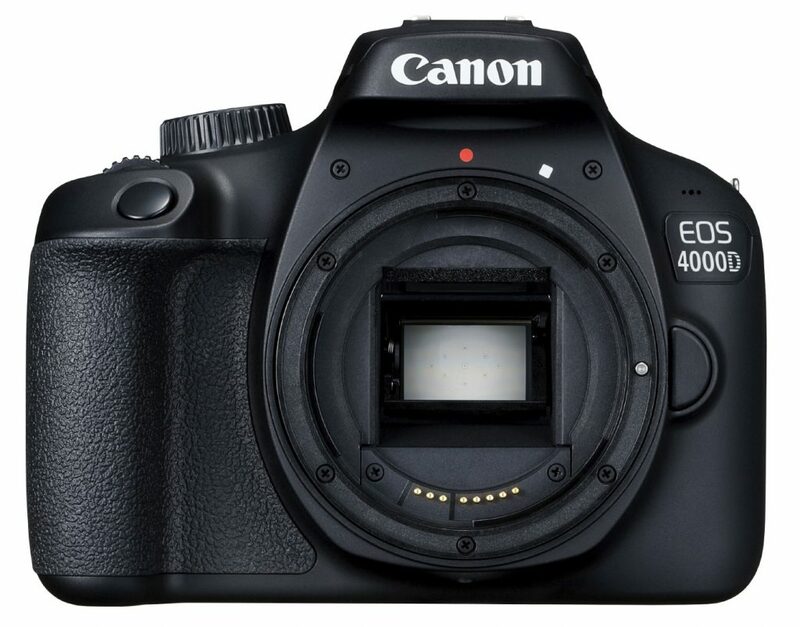 The EOS 4000D has one important point on its side, however: its price. At around $400 with a 18-55mm zoom, it is low enough to tempt even casual users away from their smartphones by offering a very affordable entry into DSLR photography. In this review we have compared the Canon EOS 4000D to its most direct rivals that we’ve tested. As usual, you can create your own comparisons and in-depth analyses using our interactive image sensor ranking tool.